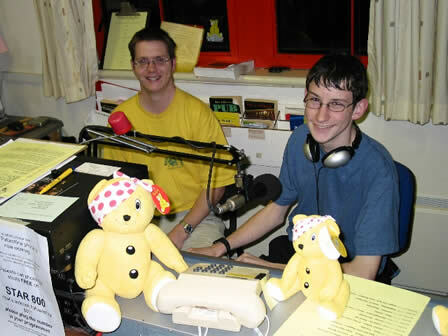 Once again Ridgeway Radio volunteers have presented a sponsored 24 hour broadcast from midday Friday 21st November till midday the following day to raise money for Children In Need. 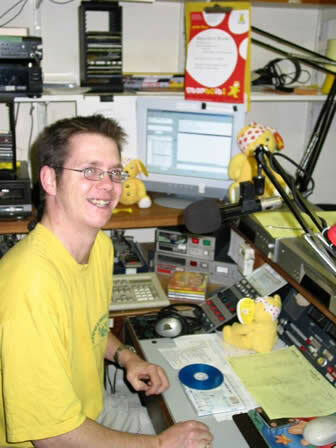 Aiming to get the listeners involved with Pudsey prizes, the studio phone has been red hot with patients ringing in for requests or to chat on-air. 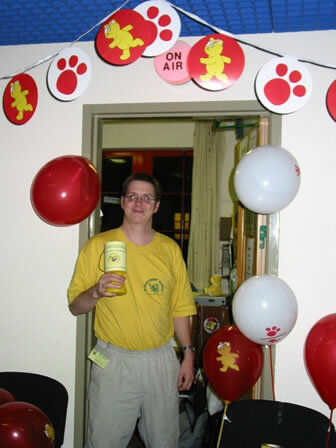 Below are organiser Dean Emmery accomanied by Kieran Williams. Many other Ridgeway radio presenters joined them for the marathon show.